Brian O’Grady went 0-2, walks, reached on a catchers interference, and he stole a base. 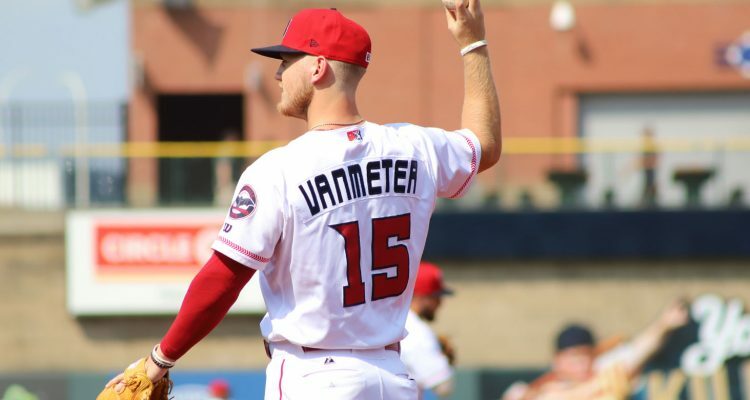 Josh VanMeter went 1-4 with a solo home run (1). Sherman Johnson went 1-2 with a walk. Jose Lopez allowed a run in 4.0 innings with 3 walks and 5 strikeouts. Jesus Reyes threw a hitless inning with 2 walks and a strikeout. Matt Bowman threw 2.0 shutout innings with 3 strikeouts. Jimmy Herget threw 1.1 shutout innings with a walk and 3 strikeouts. The Chattanooga Lookouts were postponed. Jonathan India went 1-3 with a walk. Randy Ventura went 1-2 with a walk. Austin Orewiler threw 2.0 shutout innings with a walk and 3 strikeouts. Ryan Olson threw 2.0 shutout innings with 3 strikeouts. Michael Siani went 1-3 with a walk and an RBI. Bren Spillane went 1-3, was hit by a pitch, doubled, and scored a run. Miguel Hernandez went 1-3 with a walk and an RBI. Shard Munroe went 1-4 with a run scored. Juan Martinez went 1-4 with a double and a run. Reniel Ozuna went 1-4 with a double, run, and he had an RBI. Lyon Richardson allowed a run in 4.0 innings with 2 walks and 5 strikeouts. Kind of thought when they moved out of Pensacola the number of rainouts would decrease. Yet, first one Chattanooga. Man, it’s just hard following Reds baseball right now. So many L’s from top to bottom. I don’t think I’ve ever felt this disengaged this early. Any reports on Richardson’s start beyond his stats? Let me tell you about this thing called Patreon where I wrote an entire paragraph about his start last night. Dang it I hadn’t check my email yet. It’s baseball season. There’s actually a reason to check your email every morning now!